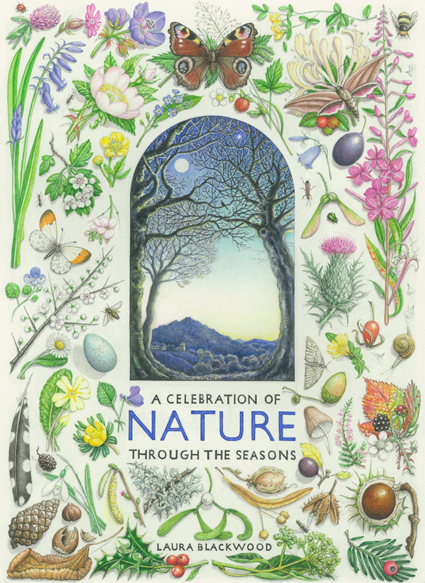 A Celebration of Nature Through the Seasons is an entirely handwritten, beautifully illustrated book that highlights the importance of nurturing our relationship with the natural world. Artist Laura Blackwood took five years to complete this work, which brilliantly conveys her love of the landscape and environment around her home in the Scottish Borders. With a combination of personal observation and enlightened insight into the botany, history and folklore of our extraordinary natural heritage, this unique book can be appreciated for its beauty, artistic skill, and its timely, relevant content in equal measure. © 2013, Artists' & Photographers' Press LTD.